Guided meditations take you on a journey to your inner self to promote self healing, well being & happiness. “Linda’s approach to meditation is really important because it offers a humanistic approach to spirituality” – Delcia McNeil, Author of ‘Bodywork Therapies for Women’. 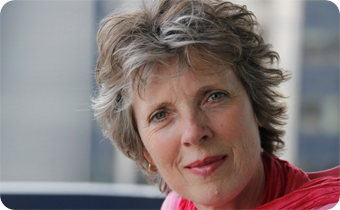 Linda Hall combines down-to-earth pragmatism with insight and sensitivity, her approach to meditation focuses on the mind-body connection and stress management and does not align itself with any particular belief system or religion. Linda draws on modern psychology and well-established practices such as mindfulness, as well as more body centred forms of meditation. 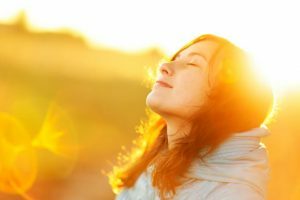 She presents meditation skills as a set of practical, life-enhancing tools for reducing stress that anyone can easily incorporate into everyday life to support their health and well-being. A practitioner and teacher of great warmth and integrity, Linda has a genuine enthusiasm about the power we all naturally possess to bring about positive personal change in our lives. Her meditation and relaxation self-help CDs and MP3s appeal to the young and old, beginner and advanced. Linda’s lovely voice has a musicality that is naturally soothing and easy on the ear, and much care goes into the production of her recordings to ensure that the balance of vocals and music do not distract or overwhelm the listener. Originally an artist and craftsman, Linda’s experience spans over twenty years in the complementary healthcare field: including bodywork, counselling, subtle energy healing, clinical hypnotherapy, coaching, N.L.P (Neuro-Linguistic Programming) and E.F.T. (Emotional Freedom Technique). 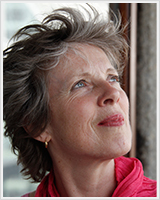 Linda runs meditation courses and on-going meditation groups in London and on-line and offers one-to-one sessions. For more information visit: www.LindaHallMeditation.com. Linda divides her time between teaching meditation in her busy London UK practice, and creating her audio work on the beautiful East Coast of Essex. She is a meditation teacher and psychology practitioner with The Optimum Health Clinic, a leading centre in the UK for stress-related conditions, specialising in M.E./Chronic Fatigue Syndrome and Fibromyalgia. Her groundbreaking Meditation for Life courses developed with the clinic, run via interactive conference call, support people in their recovery from M.E. all over the UK and abroad. 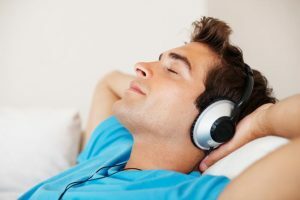 Conscious Process, her audio programme for chronic illness is designed to help people manage their symptoms and engage with the process of their own recovery. I think you have an amazing gift, and I just wanted you to know I’m deeply grateful for your work. Dan Mulhern, Professor, Berkeley University, California. Leadership expert and best-selling author. Dan Mulhern Professor, Berkeley University, California. Leadership expert and best-selling author. Listening to Linda Hall’s guided meditations has helped me deal very effectively with the stress and insomnia. Her tapes have also eased the chronic pain issues I have been struggling with. Thanks, Linda. Your guided meditations have made a huge difference in my life! You have a real gift for getting right down to the core of relaxation, grounding, feeling safe and breathing in a deeper, calmer way. Your voice is so soothing and reassuring. Your relaxation meditation CDs are the best I’ve heard. You make meditation seem very natural, comfortable and easy. I can honestly say that I have found this to be THE best, most helpful (and enjoyable!) mind body technique I have ever experienced!